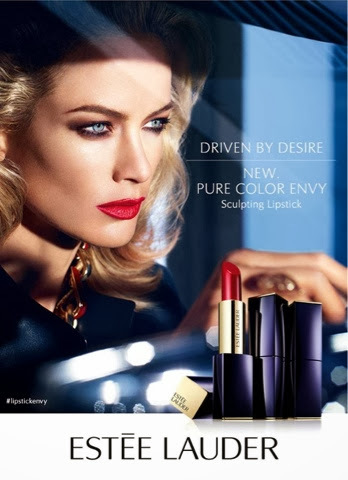 How I love seeing Carolyn Murphy in Estée Lauder's new ad campaign for their latest launch of Pure Color Envy Sculpting Lipstick. She has been a favorite of mine for years and I love her sultry look in this new campaign. Intensify lips with 20 new one of a kind statement shades with multi-faceted pigments. These wreak pure luxury for lips housed in a new, ultra chic case. 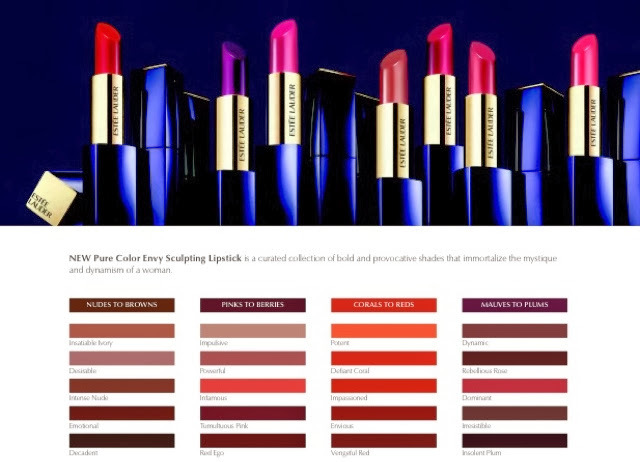 Available March 2014 at Estée Lauder counters nationwide and also online at www.esteelauder.com , at $ 30 each, you have so many options to choose from to suit every skin tone. This collection was designed to be bold and provocative. They were meant to embody the mystique and dynamism of a woman. One stroke has you covered for up to 6 hours. New Limited Edition Pure Color Envy Nail Lacquers will also make their debut at $ 21 per shade, available in 5 rich, matte hues that compliment the lipstick shades. Join in the conversation with #lipstickenvy on both Twitter and Instagram. Note the new packaging was inspired by modern architecture and it is both powerful and feminine in design.